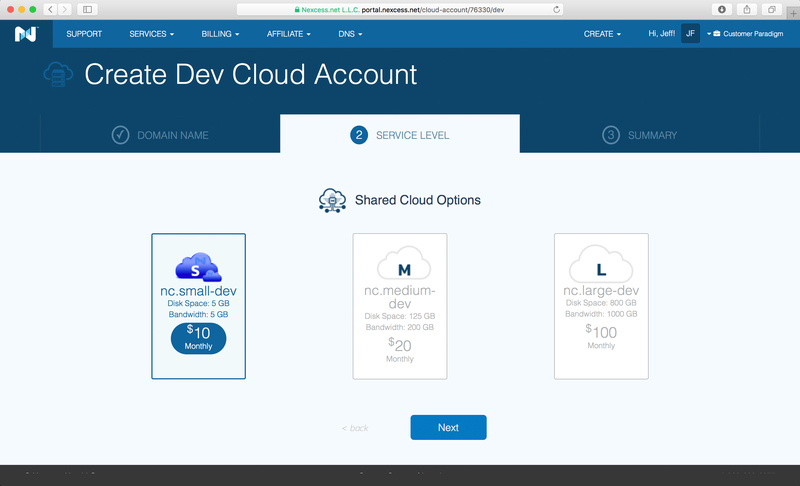 Today, I’m going to run through a review of the new Nexcess cloud hosting system. 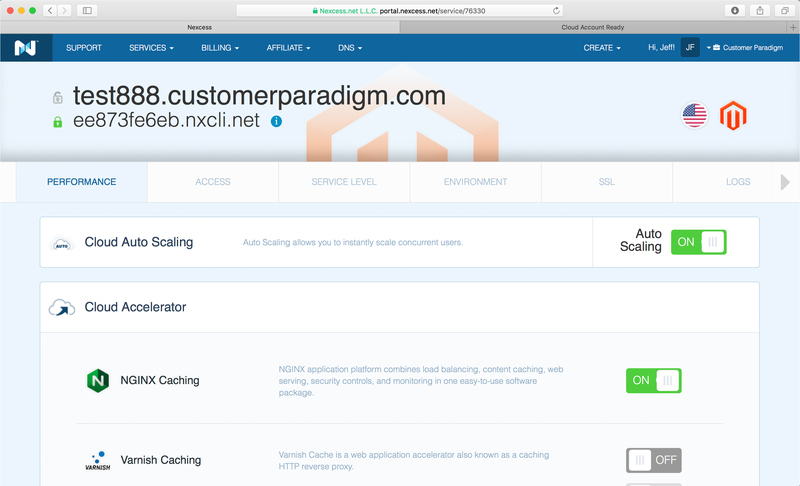 They’ve created an easy to use system that includes auto scaling (in case you have a ton of users hit your site), as well as built in caching and accelerator support. 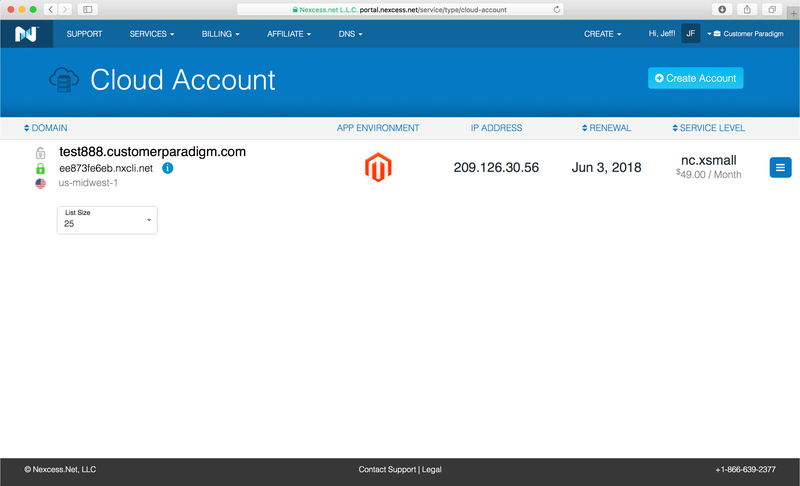 When I was at the Magento Imagine conference a couple of weeks ago, the folks from Nexcess ran me through the new system. Below, I’ve gone through the account set up, run speed tests, and have outlined why this might be a great option – especially if you need hosting that can auto scale auto-magically, as well as having a phone number to call if you need support. 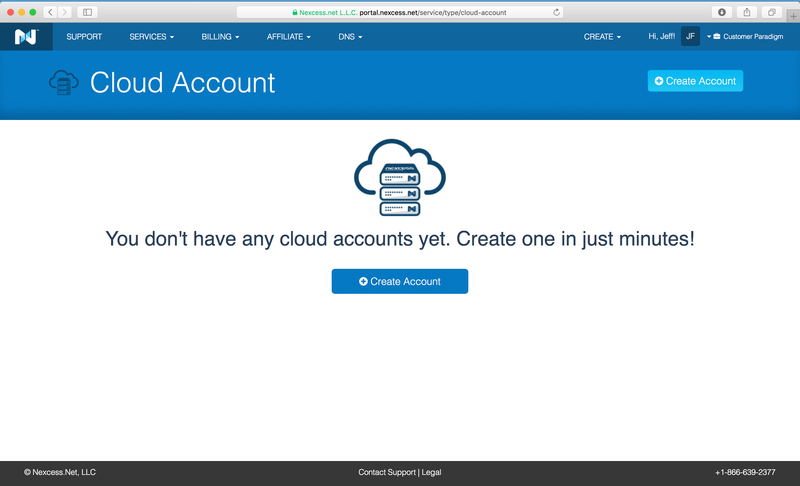 Step 1 – Create A Cloud Account. Step 2 – Enter Your Domain. Step 3. Select An Application Environment. 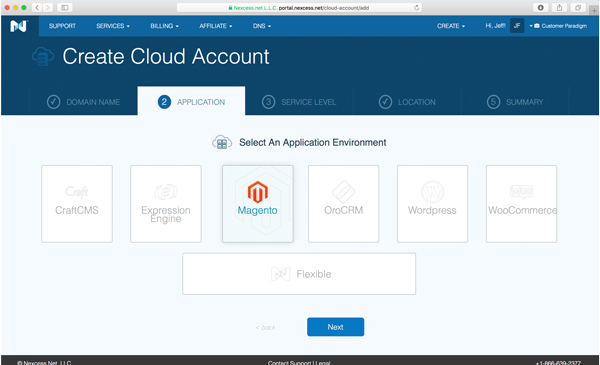 You can select CraftCMS, Expression Engine, Magento, OroCRM, WordPress, WooCommerce, or a flexible plan, where you can choose the server configuration. 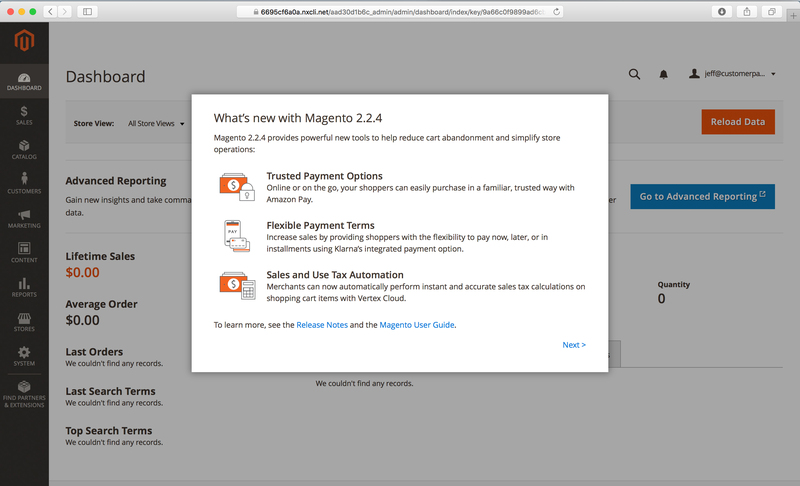 You can select the auto-install, where it will also install a full, base version of the latest version of Magento (in this case, 2.2.4, which had been released earlier that week). Or, you can simply have it spin up an optimized environment for a Magento site, and you can upload your own site that you’ve built out elsewhere. Step 4. Size of cloud server. Now I do realize that other cloud hosted servers of a similar size may be less expensive, but something like AWS does not come with 24×7 tech support, as well as auto-scaling, caching, daily backups and acceleration. Step 5. Cloud account is being set up. Step 6. Cloud account is active. 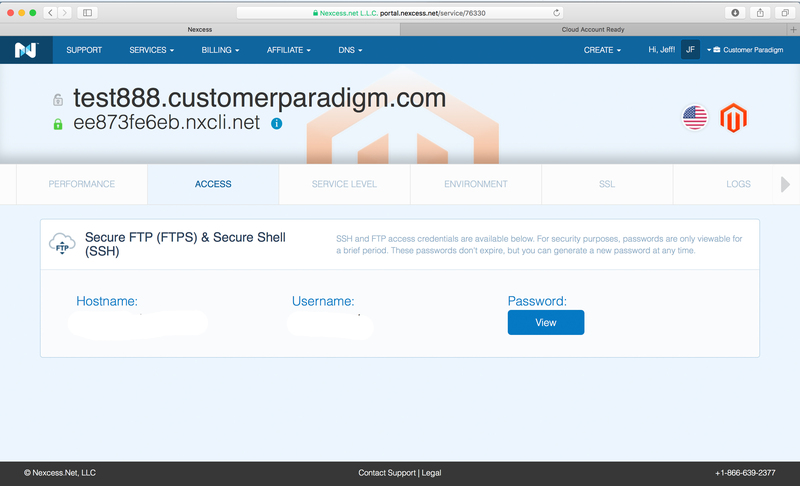 The temporary domain name (ee873fe6eb.nxcli.net); this has SSL configured on it. The cloud hosting zone is listed as well. In this case, it’s the US-midwest-1 cluster. The IP address of the system is listed; I went into my DNS control panel and created an A record that pointed to the IP address. The renewal date is when the credit card on file will be charged (one month from when I signed up). Service level – nc.xsmall, at $49.00 per month. First, the Cloud Auto Scaling allows your site to instantly double the number of users your system can handle, based on traffic levels. This is a huge deal. In the past, a site would have to provision and build out a server for the highest number of users at a traffic spike. 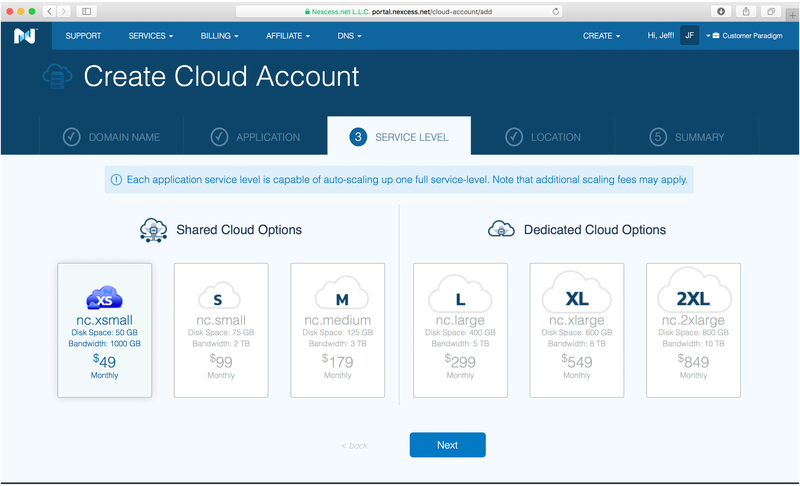 Other systems like AWS that can auto scale can take a little while to warm up; we’ve seen some of these systems not perform well without a lot of testing and fine-tuning. This is a huge deal – I’ve worked with many clients in the past to set up auto scaling, and seen epic failures. Like systems that were supposed to auto-scale and crashed instead. Or systems that spun up the wrong disk image. Or systems that failed, but there was nobody to call…. 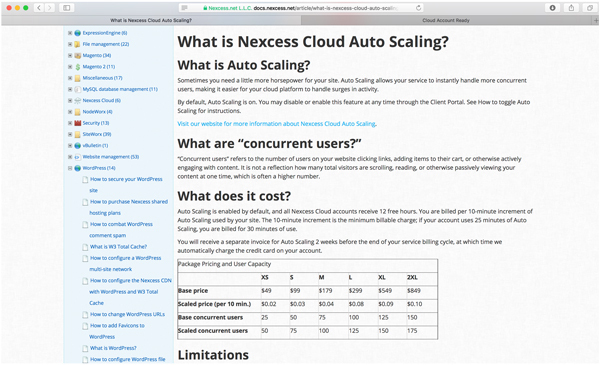 Second, while the Nexcess auto scaling allows you to safeguard against big traffic spikes, the cloud accelerator allows you to reduce the load on your site so it can handle more traffic. When an end visitor goes to a normal site (without caching turned on), a website has to "build" the entire page. The home page may have 150+ different calls to different files or database lookups to fetch new products, pricing or special promotions. And that can take time. 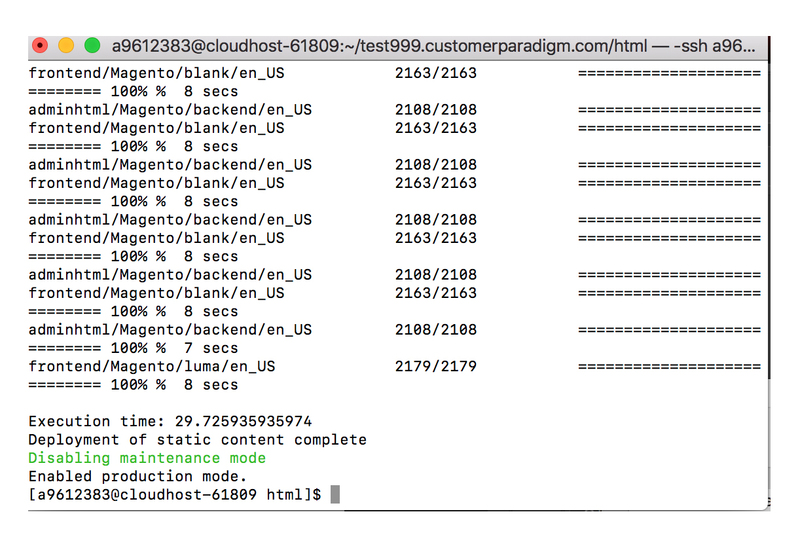 For a complex site with no caching, that could take 3-10 seconds of server time to render. The issue is that the server has to do this same process for each and everyone going to the home page of the site. 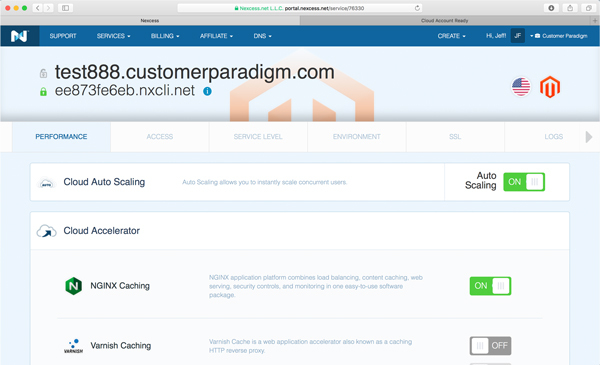 With caching, the home page can be saved, so that the server doesn’t have to work so hard to create it again and again for each new user. Magento has many different layers of caching within the application; for this test site I turned on full page caching, and put the site into production mode. 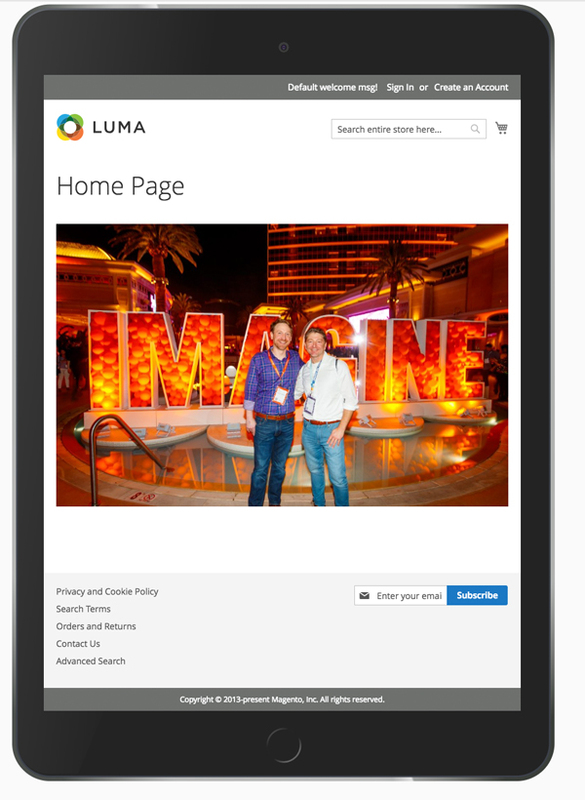 This essentially pre-build all of the pages on the site, including the home page, product pages, category pages and more. 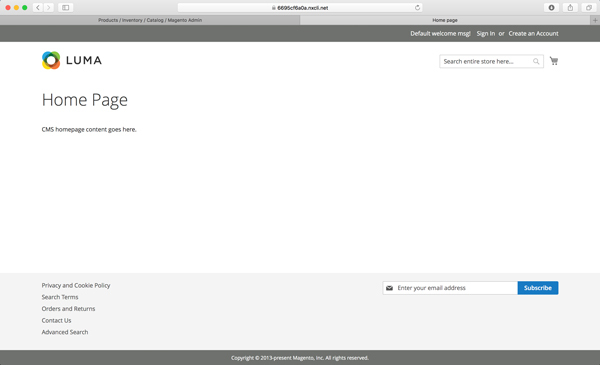 But even with this on, the pages for the site are served from the slower file system. 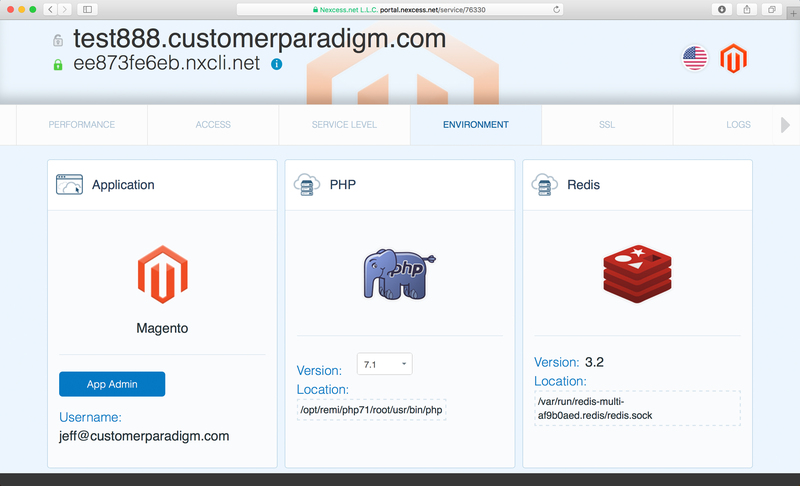 With NGINX Caching turned on, the site still will use Apache to handle normal Magento requests, 301 redirects and more. 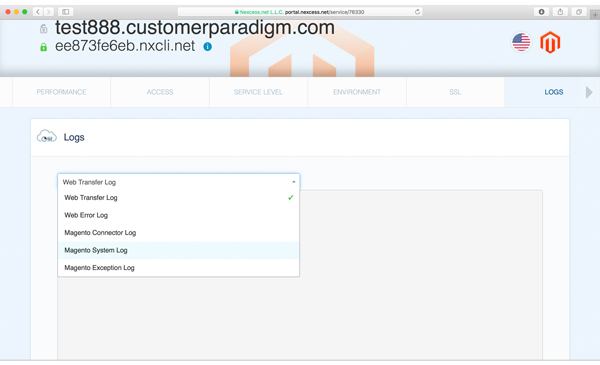 But NGINX will allow for load balancing, content caching off of the server, and additional security controls – because the end user is only hitting the server when they are adding a product to the cart to check out, or logging into their system. 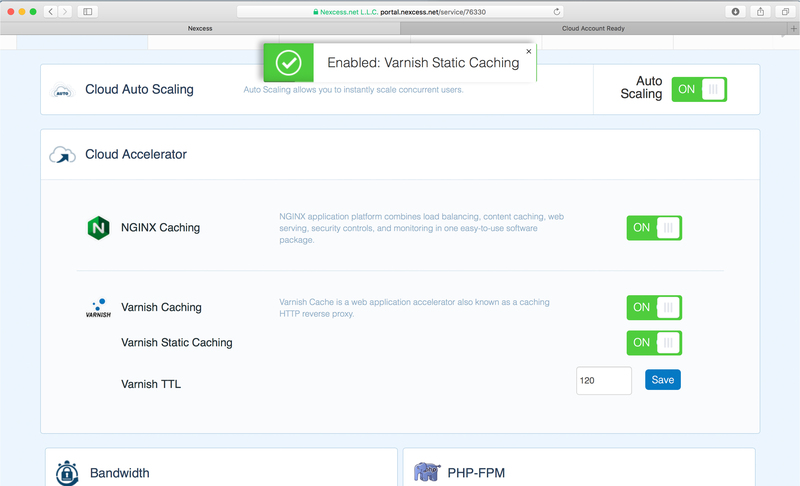 With Varnish caching turned on (also known as an HTTP reverse proxy), all of the pages are stored in much faster memory… and offloaded from the server itself. Both NGINX and Varnish are really tough and tricky to set up. One of the biggest problems with caching is that it wants to cache EVERYTHING. 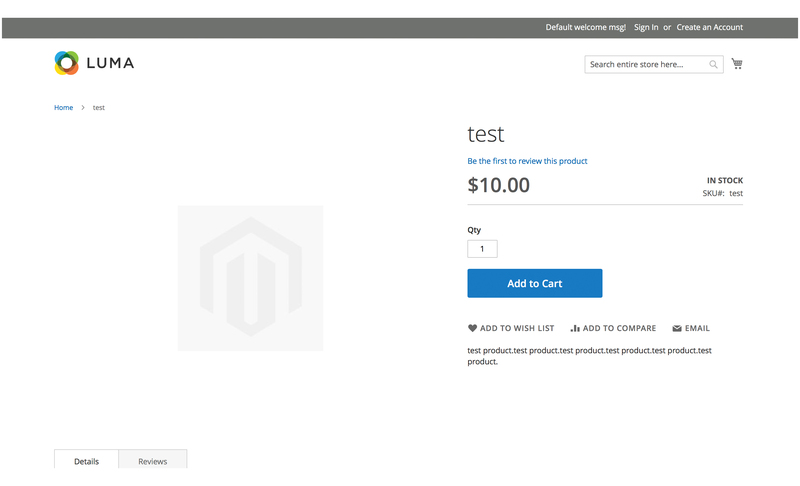 Meaning that if I add items to my cart, and then you visit the site, you could see the contents of my cart if caching isn’t set up properly. 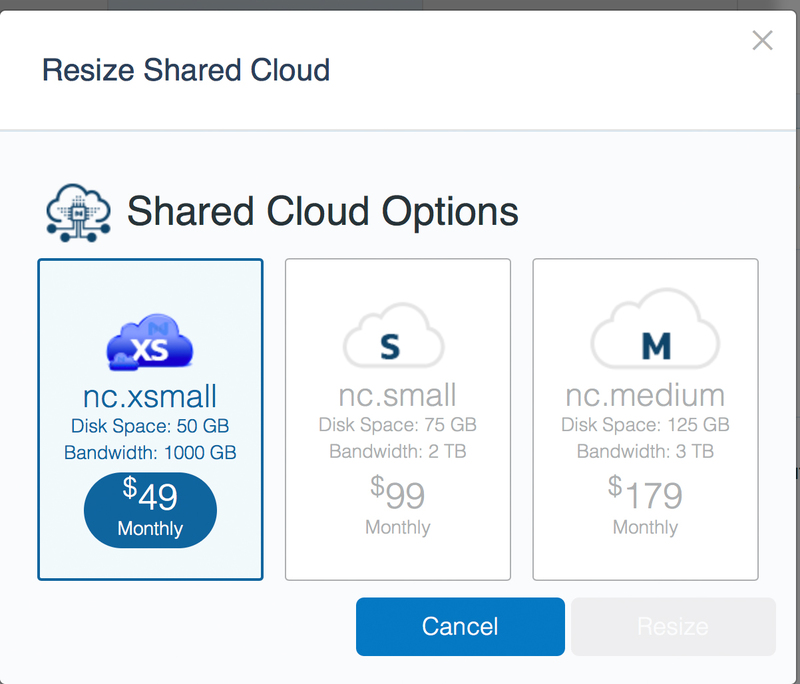 Having auto scaling, and NGINX and Varnish caching available out of the box, is one of the most compelling reasons to use the Nexcess cloud hosting system. 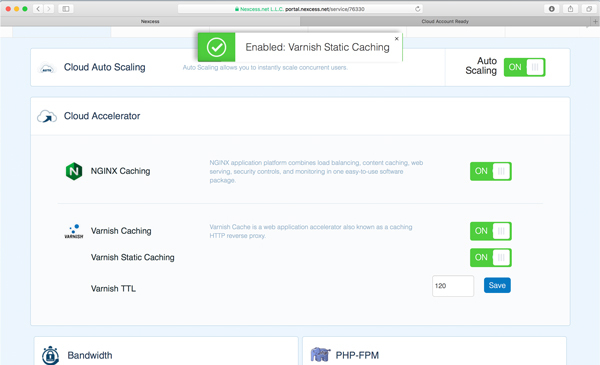 Scrolling down on the same page, you can see there are options for Varnish static caching and being able to set the TTL – Time to Live, which allows you to set how long resources should be available before the cache requests them again from the server. One of the problems with caching is the fact that when you go into the admin area and make a change, multiple layers of caching might prevent you from seeing the change on the live site for 15-20 minutes (or until the cache is cleared again). This allows you to essentially bypass all of the caching on your live site, without having to disrupt all of the other visitors to your site when a change has been made to pricing, layout or content. 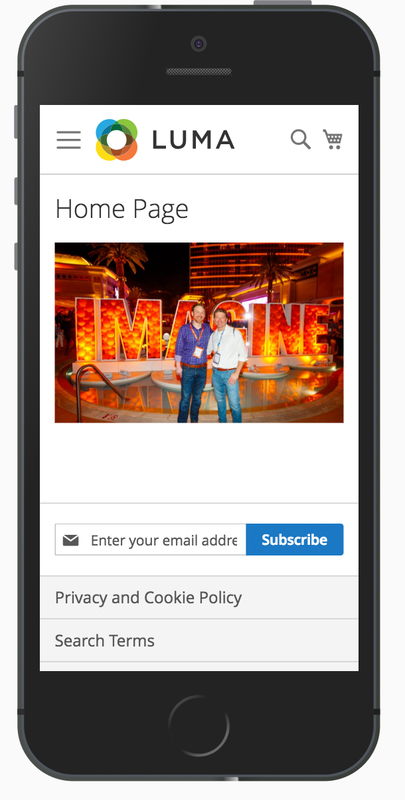 For developers, this makes is really easy to access the site, as well as highly secure. 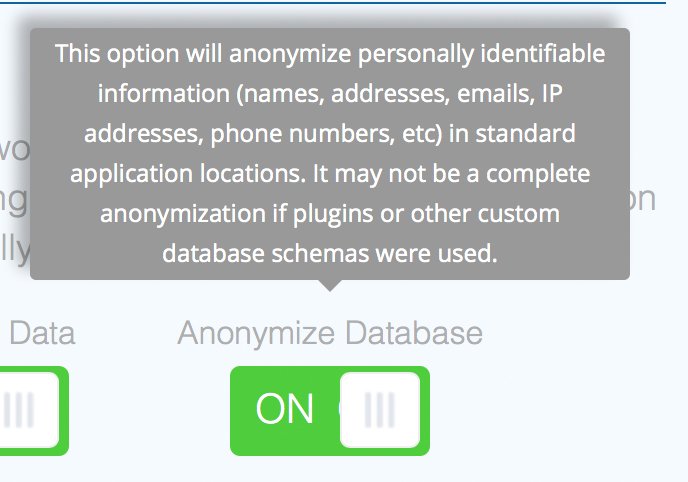 Some of the other systems force you to use SSH keys in order to access a site. 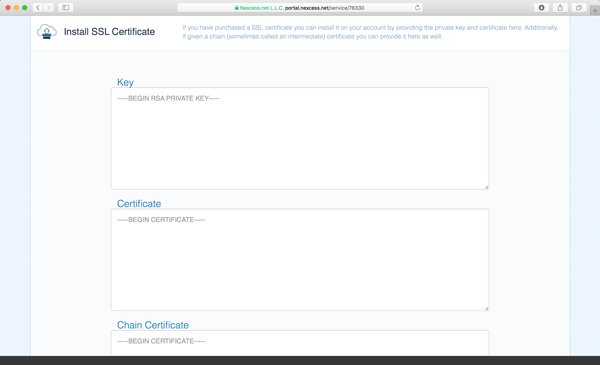 I’m not a big fan of SSH keys, because in many cases, if your key is stolen or still available to other users, that key gives them full access to the site. 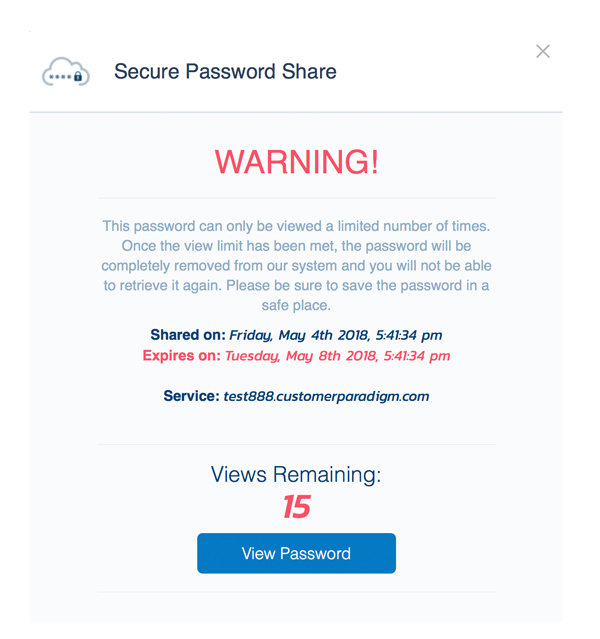 Nexcess has re-thought the password sharing system, and come up with a system that generates extremely strong passwords. 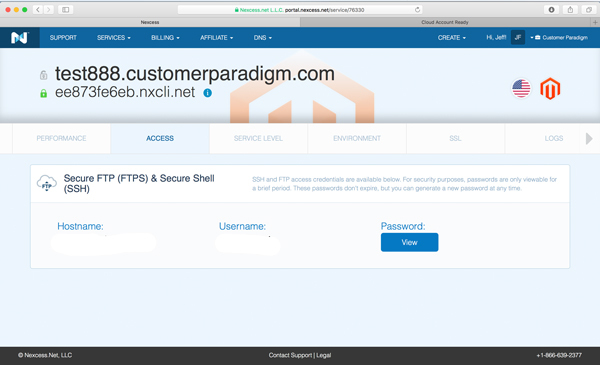 Once you have viewed it in a secure, SSL-encrypted manner, Nexcess no longer will store the password. If you forget it, you can have the password regenerated. This mitigates the possibility that an attack on the hosting company’s systems would allow someone to gain access to your system. Instead, by deleting and not storing your password (but allowing you to reset it), Nexcess essentially takes themselves out of the loop for long-term password storage. Step 10. 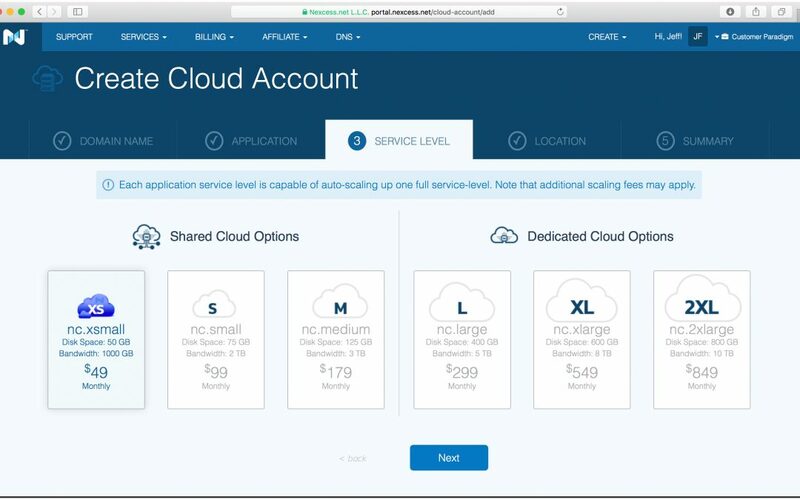 Service Level for Cloud Hosted Account. It’s easy to upgrade to the next level of service, see the location of the data center (us-midwest1), and see if Cloud auto scaling is turned on. 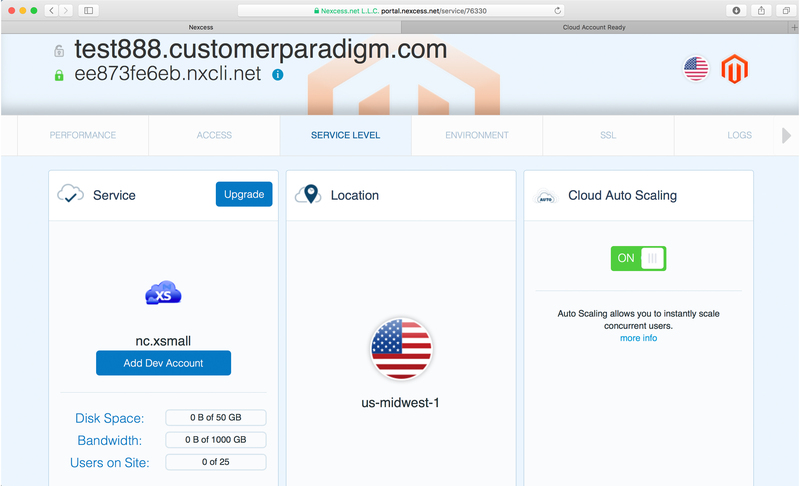 In this case, the nc.xsmall gives me 50 GB of disk space – plenty for most Magento sites, 1 terabyte of data for bandwidth, and 25 concurrent users on the site. Again, this is usually fine for a small site. Upgrading to these next options as a shared account is instant, and gives you the added benefit of being able to auto-scale to the next level. If you want to upsize from there, a couple of minutes of downtime may be required. If I know I’m going to have a big marketing campaign, I might want to resize to the next level, and then scale back down to save money if needed. 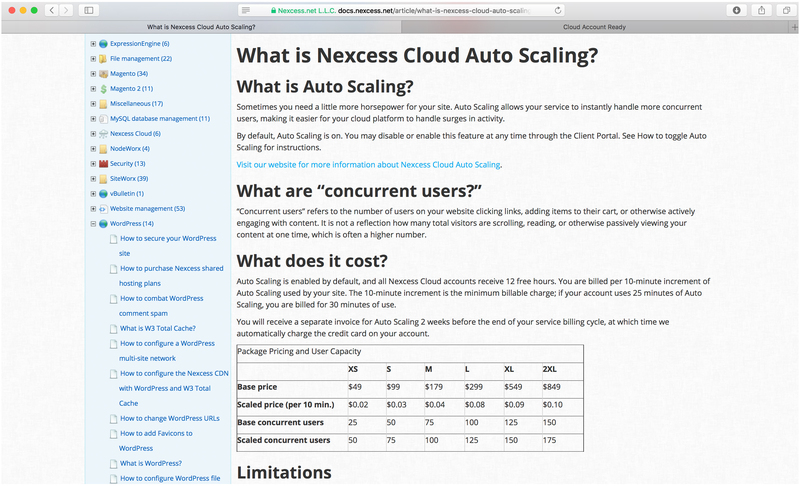 I think that the only reason not to turn on auto scaling would be if you know your server is going to often be at high load, and you don’t want to incur additional hourly charges beyond your normal monthly hosting price. This page also lists disk space used, bandwidth, and number of users on the site at the time. 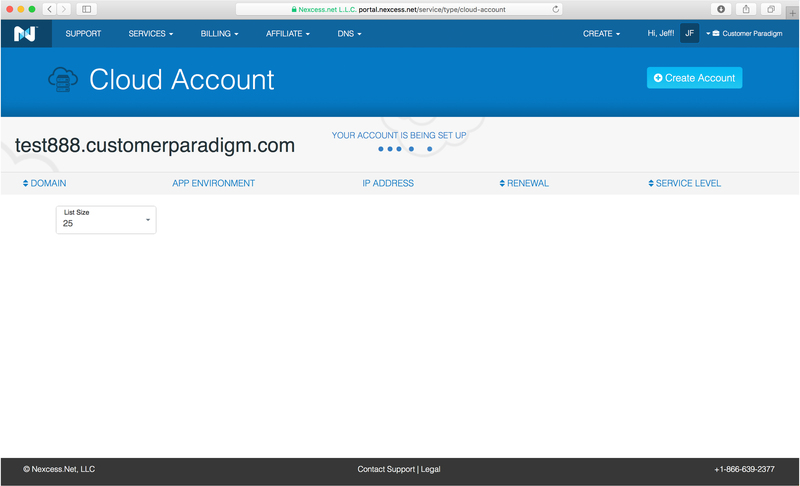 But the most compelling thing on this entire page is the ability to instantly add a Dev Account. 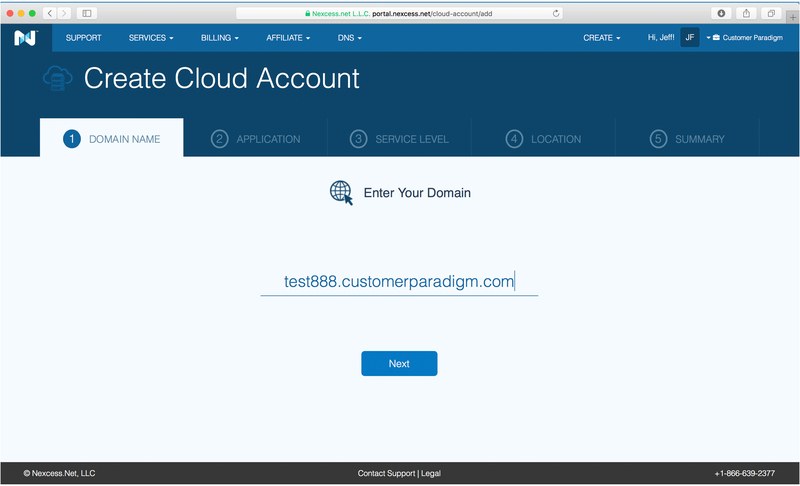 When our company, Customer Paradigm, works on sites, we always make a copy of the site, and bring it over to one of our systems. We work on the site, check in any file changes into a version control system called Git, and then once things are tested, we can push the changes up to the live site. One of the problems, though, is that our development servers are really good for troubleshooting sites that are having issues. 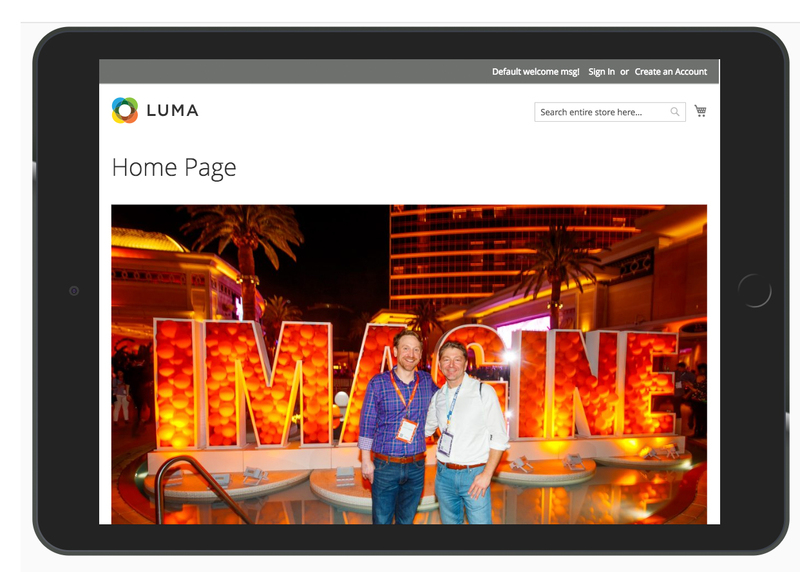 But it is really amazing to have a staging site or development site that is an exact match of the live site for testing. 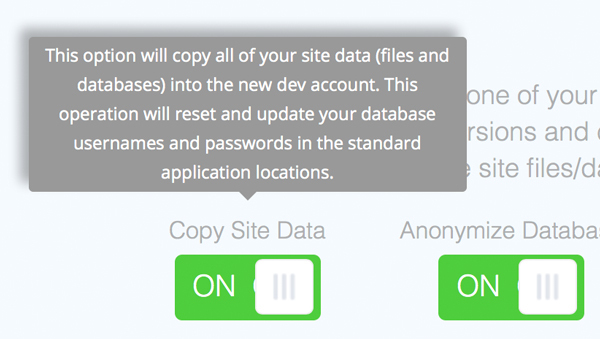 The development site creation allows you to instantly spin up a new test site, including caching. Creating a dev cloud account will take your current live site, including all of the software versions (php, mySQL, caching) and configuration, and optionally copy the base site files and databases. 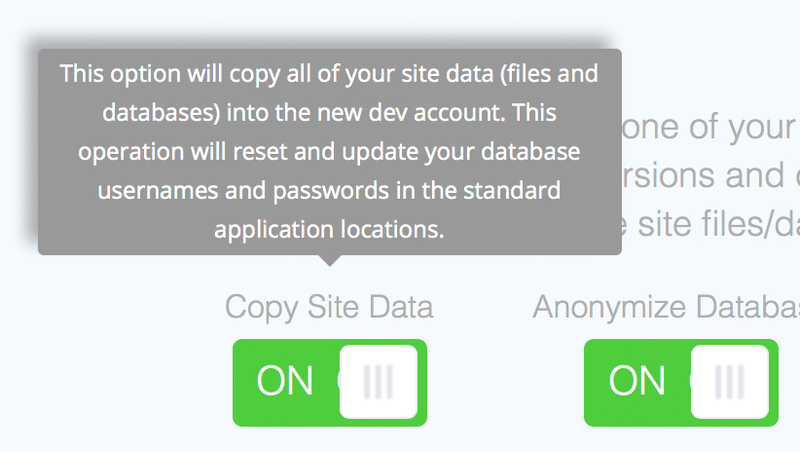 This option copies all of the site data, including images, css, layout files, etc, into the new developer account. It’s really a nice feature. 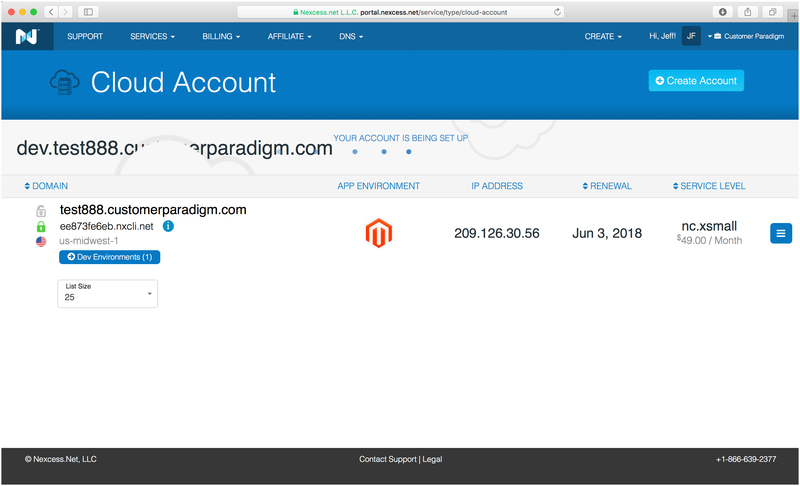 It will also copy the database as well, so that you have a full working copy of the mySQL database to run your site against. 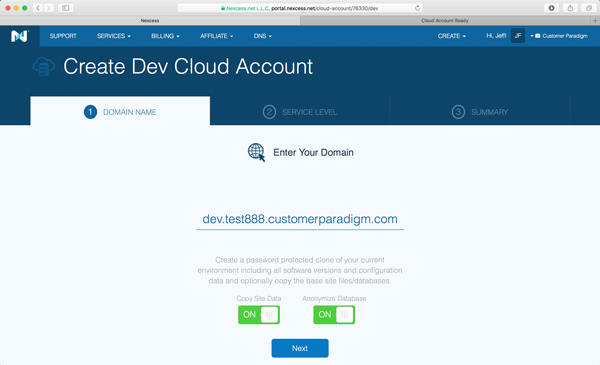 And then, auto-magically, it will update the configuration file on the development (dev) version of the site, so that you’re on the new test version of the database. This is a great feature that allows you to strip out all of the customer information when you’re copying over the database. It’s a great feature to have for many reasons. 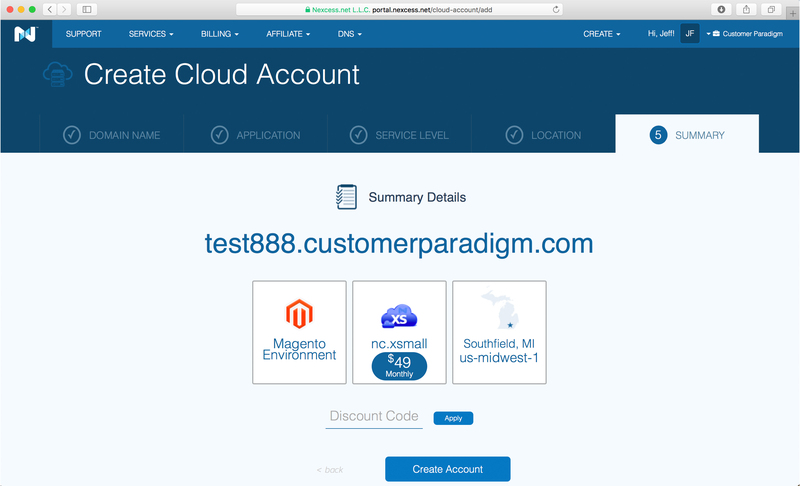 First, it allows you to test the site without live customer information. So if there is a process that sends out emails to past customers, this is a safeguard that prevents you from sending out 25,000 emails from a test server. Second, it’s a prudent measure to limit access to sensitive PII (personally identifiable information). A developer most likely does not need the names, addresses, emails, IP addresses, phone numbers and other information in order to make sure that a particular module works. However, it may not catch everything – especially if there are major customizations to the Magento database. Step 13. Dev site being set up. It’s also easy to cancel a dev environment pretty easily as well, when it’s not needed. Often if there is an ongoing issue with the site, these errors will be logged for troubleshooting. 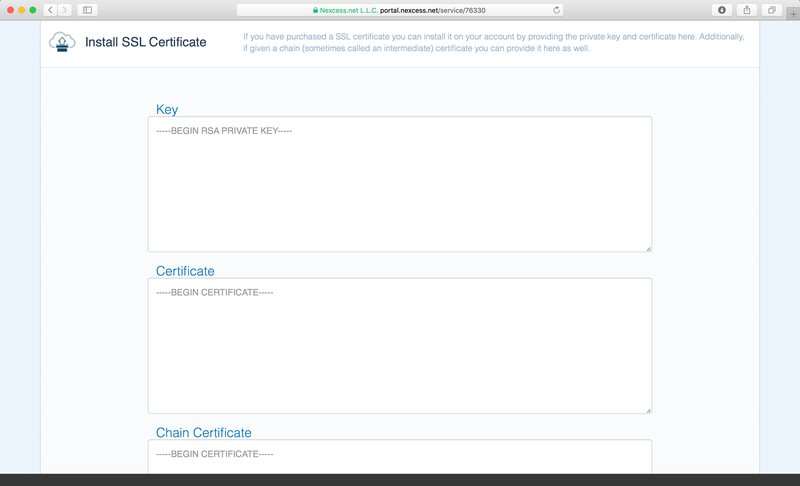 By default, your temporary domain has SSL already included. After the site was set up, I logged in via SSH to a test account. (Note: this is the test999.customerparadigm.com version, which has also now been removed from their system). The first few screens are what’s new with Magento 2.2.4, including Amazon Pay, Klarna Pay Later, and Sales and Use Tax automation from Vertex. The site loads in 1.03 seconds. Pretty darn fast for an eCommerce site. Now there’s only one image on the home page, but this to me was a very fast baseline. 1.03 seconds is fast. But could I get the site to load even faster? 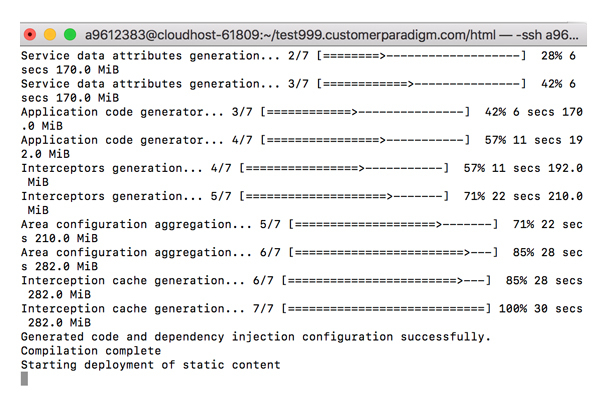 With production mode turned on, and all of the caching on the site turned on, I ran the speed test again. What this means is that when a person types in the URK of the site (i.e. 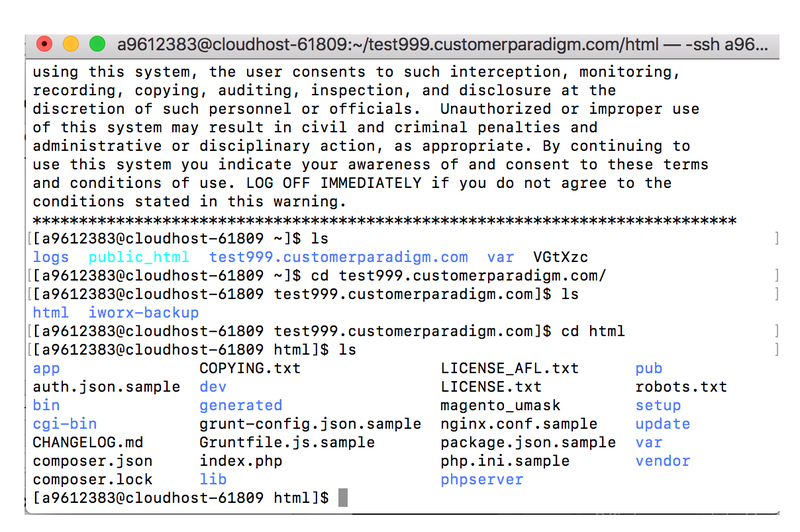 http://test888.customerparadigm.com), their browser receives the HTML content for the page in 0.274 seconds. This is really, really fast. The longest time was 134 MS (0.134 seconds) for the server to fetch the HTML for the home page. Without caching, the server would have had to do a tremendous amount of file and database lookups. I’ve seen this wait time jump into the 5.0 – 12.0 second wait times for a site without caching. That is blazing fast, especially for 2.6 MB of files in 201 requests. Of the 2.6 MB of content, 91.6% are scripts – it does take a lot of scripting to run an eCommerce site. 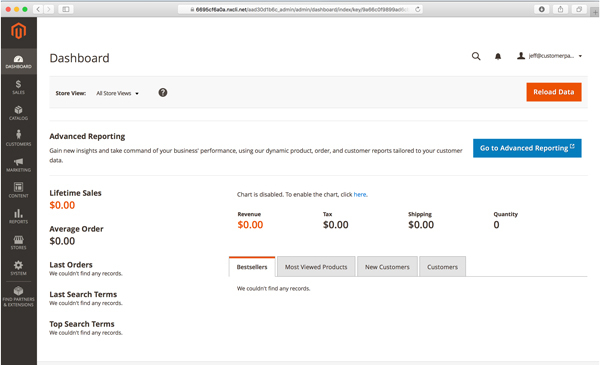 But a page like this has a tremendous amount of functionality, including pricing, adding to a cart, reviews, product details and more. Again, this is baseline. 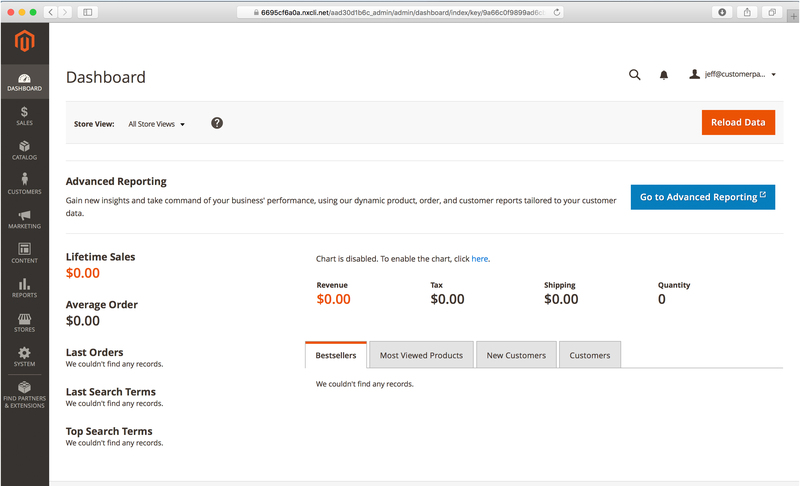 Adding more product images will increase the page load time. From speaking with the Nexcess team, they have a number of additional UX items on their roadmap, and are releasing updates to the system every two weeks.